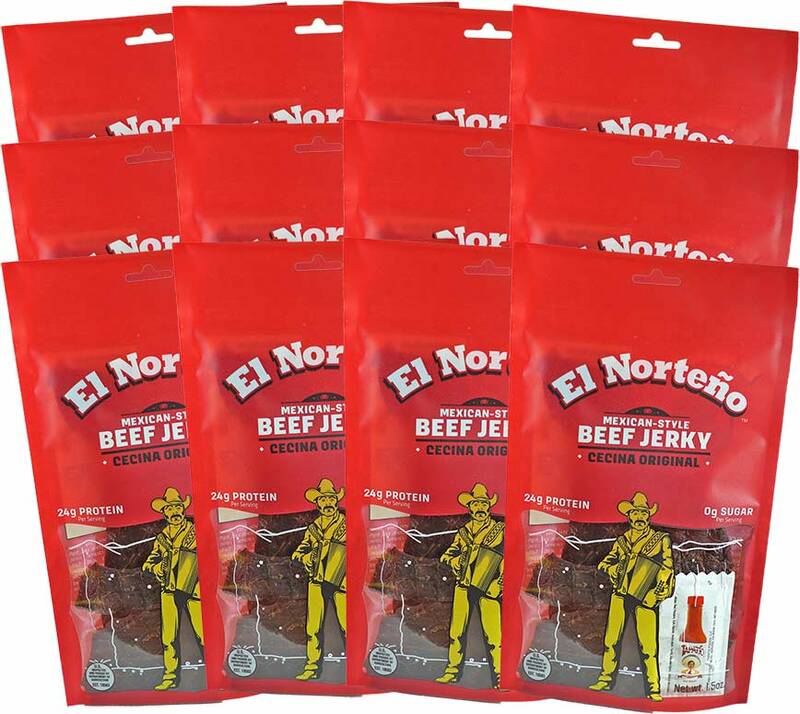 Our Original Mexican-Style Beef Jerky is the real deal. 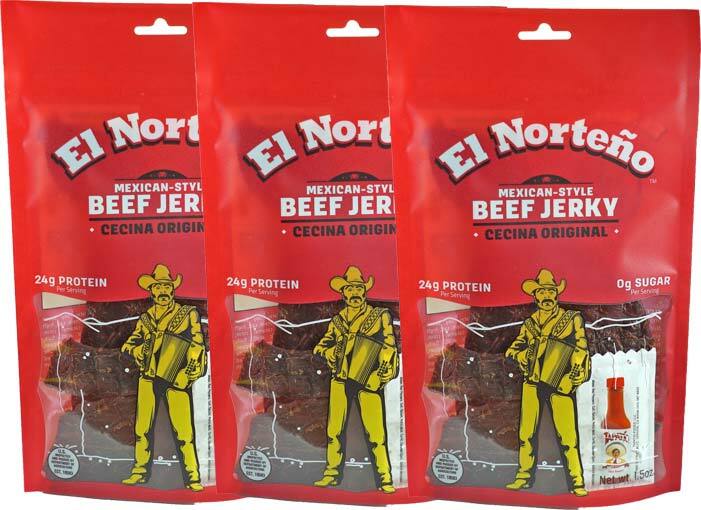 Inspired by traditional Mexican Cecina, this jerky is thinly-sliced, air-dried (no smoke or liquid smoke) flavorful sheets of 100% beef. 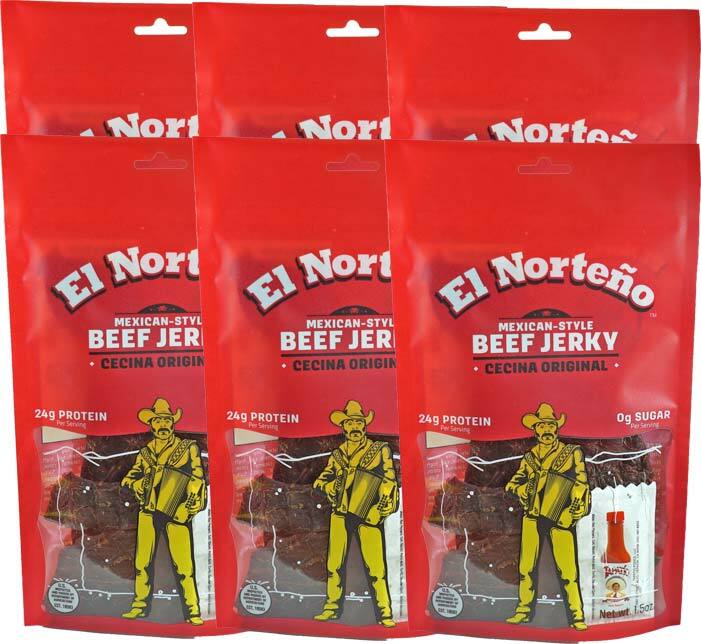 Your order is 1.5oz bags of protein-packed, 0g sugar, lean beef. A packet of hot sauce is included with each bag.